The CD49-PCB is the efficient driver circuit for the CD49 family of ILI transmission coils. This circuit board is designed to be placed anywhere within an ultrasonic, magnetic flux leakage (MFL), caliper, or other tool. Flying leads attach this card to a remote transmission coil, typically a CD49-SC or CD49-LC. Custom Transmission coil designs are available from CDI. 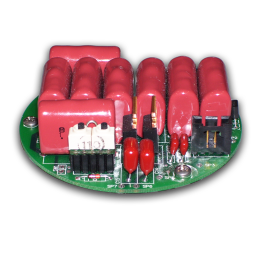 Optionally, this board can be integrated into the transmitter and the tool manufacturer then does not have to worry about the additional parts placement. For integrated products, please see the CD42-T0- MPS, CD42-T1 MPS or CD42-T2 MPS.